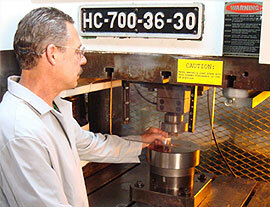 Impact extrusion is a type of specialty cold forming used for larger parts with hollow cores and thin wall thicknesses. The impact extrusion process begins with a tightly controlled, by weight, metal blank that is placed in a die that is located on a vertical, mechanical or hydraulic press. 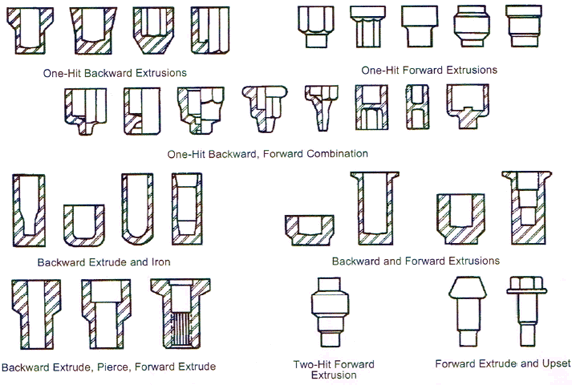 A punch being driven into a die by the force of the press causes the metal blank to flow (extrude) in a forward (into the die) or backward (around the punch) manner. The process of impact extrusion means to impact a metal blank at such force that it transforms the metal into a plastic state that allows the metal to actually flow into the die shape and around the punch. 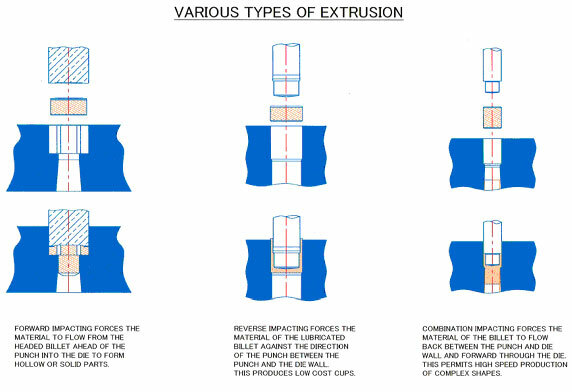 The challenges with impact extrusion are how does an engineer, design an impact extrusion process step sequence that achieves the required extrusion shape with the minimum number of process steps. What are the primary benefits of impact extrusion compared to conventional machining from solid material?